Everything you heard about iPhone X sales was wrong. In fact, it's Apple's most popular model. Analysts have been extremely pessimistic about the iPhone X, with almost daily predictions that Apple’s top-of-the-line model was a flop. And they were all dead wrong. Tim Cook just said the iPhone X has been Apple’s best-selling model for every week since it launched, and that sales of all the company’s phones grew last quarter. How did the analysts get it so wrong? Here’s what probably happened. Apple unveiled the iPhone X in September but didn’t release it until November. The intervening weeks were full of comments from the public saying that the screen cutout looked horrible, that the device’s facial-recognition system probably wouldn’t work, and that the $999 price was outrageous. It seems analysts listened to these premature complaints, even though they were coming from people who’d never used an iPhone X. Add in the widespread agreement that people wouldn’t pay $1,000 for a phone, and the experts were sure Apple’s new flagship would sink with all hands on board. Predictions of doom for the iPhone X began a few months ago. Analyst after analyst said they’d been told by sources in Asian component suppliers that demand for smartphone parts was down. This was taken to mean that the iPhone wasn’t selling, a conclusion the analysts reported to investors and the press. But the analysts were jumping to a conclusion based more on their own assumptions than the evidence. Samsung said it was experiencing slow demand for its OLED displays, and an analyst assumed it’s because no one is buying the iPhone X. iPhone chipmaker TSMC’s revenue declined in Q1, and analysts assumed this meant that demand for all Apple’s phones was declining. Analysts are people, and whether they realize it or not they can get caught up in a crowd mentality just like everyone else. After hearing a bunch of other smartphone industry experts say that the iPhone X is a dud, they came to that conclusion too. Even if the evidence wasn’t there to back up that conclusion. This analyst echo chamber has existed for years, with Apple always viewed negatively. The company’s financial results have beaten analysts’ consensus in 20 of the last 21 quarters. Apple is always doing better than the experts can believe. Which isn’t to say there were no brave exceptions to the tide of pessimism. 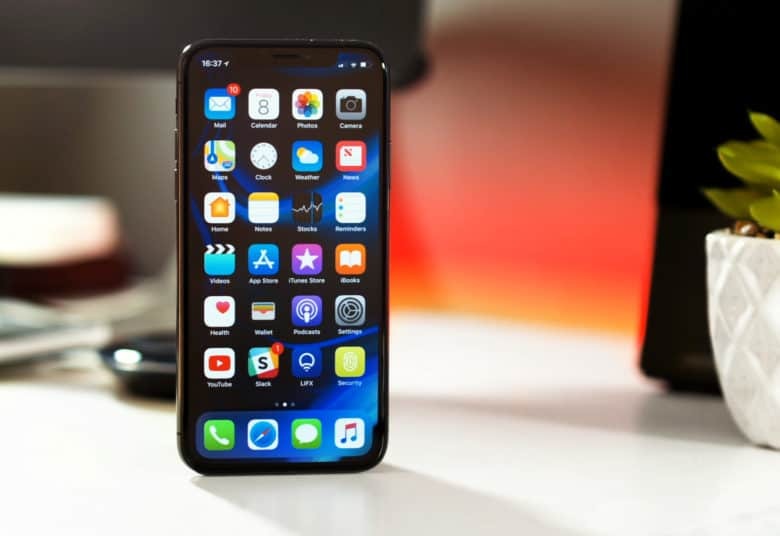 Counterpoint Research said last week that the iPhone X was the best-selling smartphone in the world. It also said Apple is doing very well in China, which was backed up today when Cook said the iPhone X is the best-selling smartphone in that country. So, ignore virtually everything you’ve read about iPhone X sales in the past few months. It has been Apple’s top seller every single week since it debuted. Even Cook admitted during a call with investors today that he was “surprised” by how well the device is doing. It turns out millions of people really will pay $999 for an iPhone. And people aren’t bothered by the screen cutout, aka the Notch. And it’s not just the iPhone X: All of Apple’s smartphones are selling well. During the first quarter of this year (traditionally a slow time for sales), Apple sold 52.2 million iPhones. That’s up just a hair from the same quarter last year, but slightly up is still up. Analysts are people. People make mistakes. But the analysts need to stop making the same mistake over and over. Stop assuming that Apple is on the verge of failure.